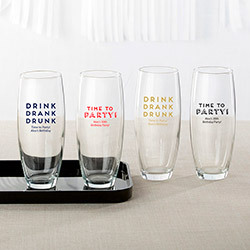 Whether you want your glassware favor to say "Time to Party!" 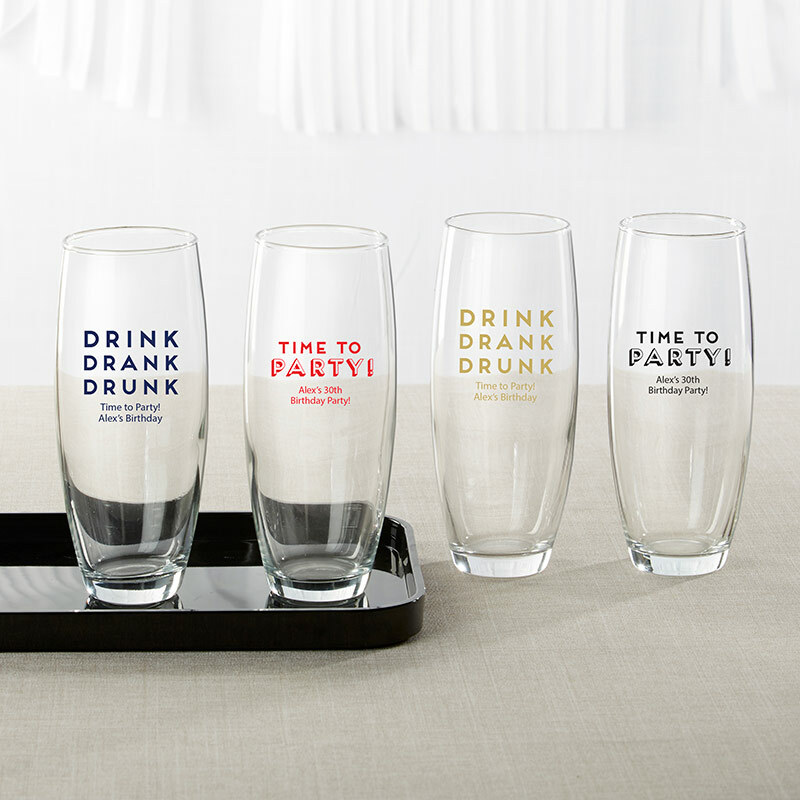 or "Drink Drank Drunk," you'll want to make sure they're very fun and functional, which is why Kate Aspen's personalized 9 ounce stemless champagne glasses are perfect! 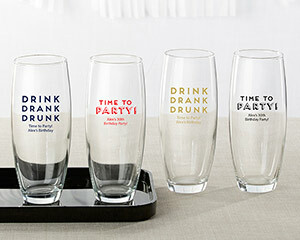 You can even add your own personal details like your name, monogram or birth date to the front to make them your own.